The Chinese doctor who made world headlines in 2003 by exposing the coverup of the deadly disease Sudden Acute Respiratory Syndrome, or SARS, has now come forth to expose another of China’s dark secrets: the involvement of Chinese military hospitals in harvesting organs from prisoners—sometimes while the victims are still alive. “The absolute vast majority of liver supplies in China come from prisoners who’ve been executed. There was no law at the time—we’re going to execute this prisoner. Whether the family agrees or not, as soon as they’re dead they go and get the organs,” said Jiang Yanyong, a storied 80-year-old former military surgeon, in his interview with Hong Kong’s Cable TV. “What extent did it reach? At the execution site ambulances from the 301 Military Hospital would all go with a group of surgeons.” As soon as the prisoners were shot, surgeons would get to work, he said. The 301 Military Hospital is the People’s Liberation Army General Hospital in Beijing, controlled directly by the Central Military Commission. But the practices evolved in a particularly sinister and mercenary direction, once doctors figured out that the fresher the organ, the better. In an environment with no institutional oversight or ethical checks, the predictable happened. At the execution site, ambulances from the 301 Military Hospital would all go with a group of surgeons. The revelations of Jiang Yanyong, famous for being the first doctor in China to expose to foreign media the SARS epidemic, which had been covered up by officialdom, are extremely unusual for an individual still in China. They appear in a 15 minute interview with the Hong Kong broadcaster and, even more unusually, include specifically naming and enumerating the alleged crimes of a currently serving Chinese military doctor. 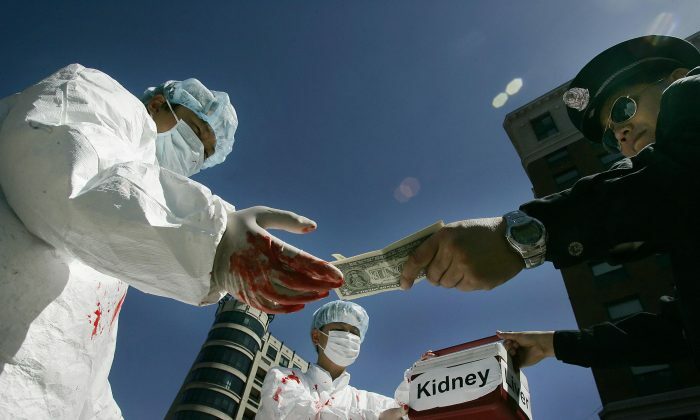 Jiang’s comments largely confirm what a number of researchers have concluded for many years: that military hospitals have been the primary nexus for organ harvesting, both from criminal prisoners sentenced to death and prisoners of conscience. These researchers, among them American journalist Ethan Gutmann and Canadian researchers David Kilgour and David Matas, also conclude that the primary source of organs in China for the last 15 years has been practitioners of Falun Gong, a persecuted spiritual discipline. Jiang did not refer to the identities of those harvested, though gave the impression that he was referring to criminal prisoners sentenced to death. The revelations come as part of Jiang’s attempt to make good on the will of a deceased mentor, the career People’s Liberation Army Dr. Hua Yiwei, a figure so revered that a white statue of him stands in the courtyard of the General Hospital of the Beijing Military Area Command, inscribed by former Communist Party leader Hu Jintao. Before Hua Yiwei died in 2006, Jiang said, he entrusted Jiang to reveal the illicit organ harvesting activity of the People’s Liberation Army, and in particular of one key surgeon and his political protector: Li Shiyong and Xu Caihou respectively. Xu was one of the most powerful men in the Chinese military, a general, a vice chairman of the Central Military Commission that commands China’s armed forces, and a member of the Politburo. He was taken down this year as part of Xi Jinping’s unrelenting political purge, which is systematically removing from the ranks all officials of questionable loyalty, in particular those loyal to former Party head Jiang Zemin. Later they would shoot them so they don’t fully die. Then they pull them in [the van] straight away, and right there start getting the organ out. Xu gained his position through Jiang Zemin, who took power after the Tiananmen Square massacre in 1989. 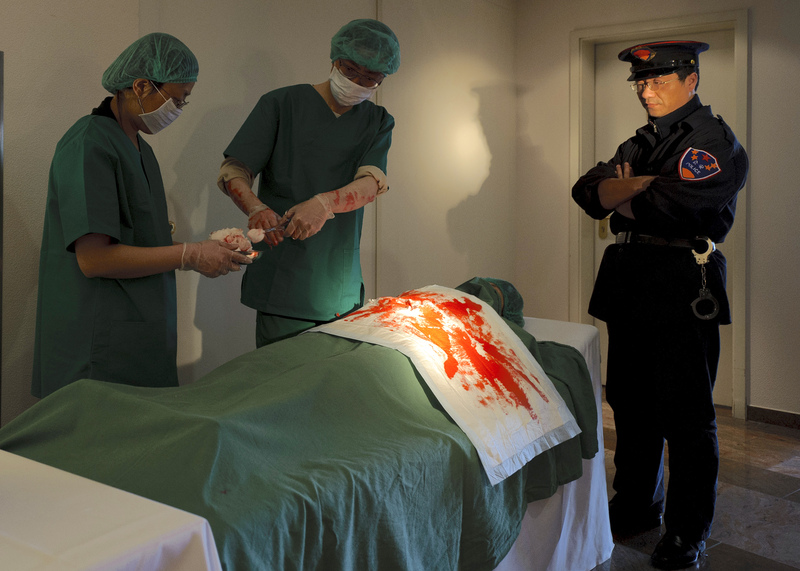 And it was because of Xu Caihou that Jiang’s mentor and uncle, the military doctor Hua Yiwei, was unable to expose the rampant organ harvesting being conducted by military doctors under Li Shiyong, Jiang said in the interview. Li had risen “like a rocket” through the ranks—faking his credentials as a surgeon, Jiang said—through relentless politicking, eventually coming to be the director of the liver transplant center of the General Hospital of the Beijing Military Area Command. Hua Yiwei attempted to get Li Shiyong’s abuses investigated, but all came to naught because of the protection of Xu Caihou. The report shows video of reporters confronting Li Shiyong at his workplace in the hospital of the Beijing Military Command. It was not clear how they were able to get in, given the location’s sensitivity. “This is a military hospital, you’re not allowed to ask questions,” he said as he shoved past them. Whether there are broader Communist Party political goals associated with Jiang Yanyong’s revelations is unclear, though his remarks are the most explicit admissions so far from a senior Chinese military surgeon—albeit cast out of the establishment as Jiang is—about the abuses of organ harvesting by China’s medical military complex. Even so, the allegations are mostly limited in their detail to the crimes of a few men: Li Shiyong, firstly, and his protector, Xu Caihou, who has already been purged. Whether this is an attempt to whitewash the broader institutional role the military had in the harvesting of executed prisoners, and also prisoners of conscience (which Jiang did not touch on) is unclear. Correction: Jiang Yanyong said that ambulances from the 301 Military Hospital, also known as the PLA General Hospital, went to an execution site to collect organs, not that the execution site was at the 301 Military Hospital; he said that Li Shiyong became the director of the organ transplant center of the General Hospital of the Beijing Military Area Command, not the director of the liver transplant center of the 301 Military Hospital; Hong Kong Cable Television reporters confronted Li Shiyong in his workplace at the General Hospital of the Beijing Military Area Command, not at the 301 Military Hospital.